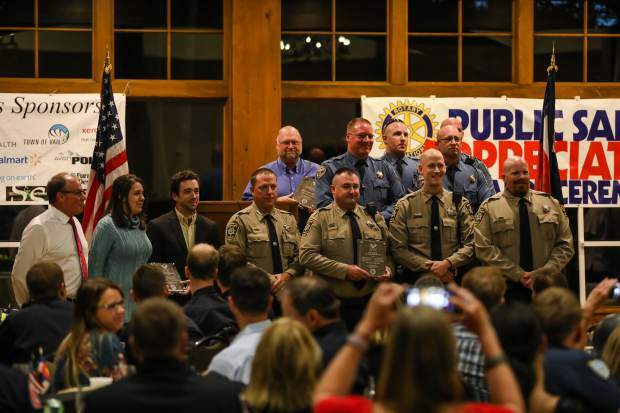 The Unit Citations for Meritorious Service Awards were given to various people in local departments and agencies for a vehicle pursuit in Eagle County during the first responders dinner Tuesday, Sept. 11, in Vail. Multiple entities worked together to safety apprehend a suspect driving erratically on Interstate 70. 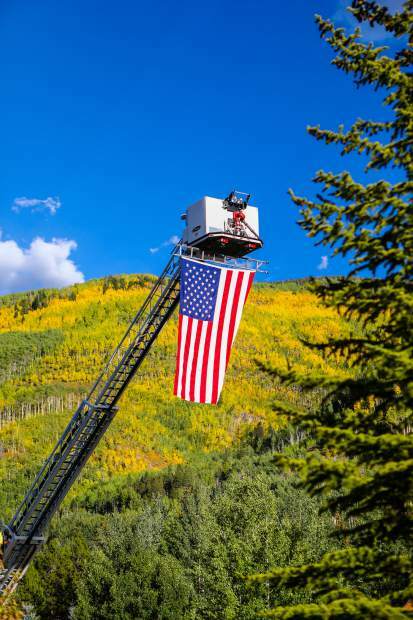 The American Flag is flown above the changing colors of Vail. 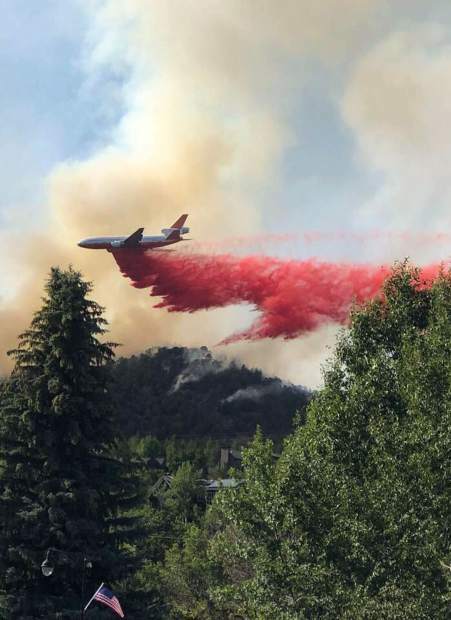 It came within yards of structures and homes in the Roaring Fork Valley, before fire fighters were able to push it back. Hundreds of airdrops and thousands of fire fighters battled the blaze. Some are still there. 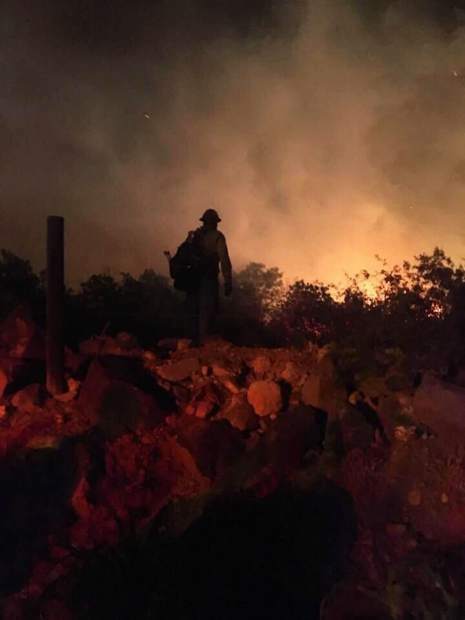 The 2018 Lake Christine Fire near Basalt burned nearly 13,000 acres. Local fire officials are using lessons from that fire to help with both emergency response and future preparedness. The Lake Christine Fire was sparked in July by two people firing incendiary rounds at a Basalt gun range. Rev. 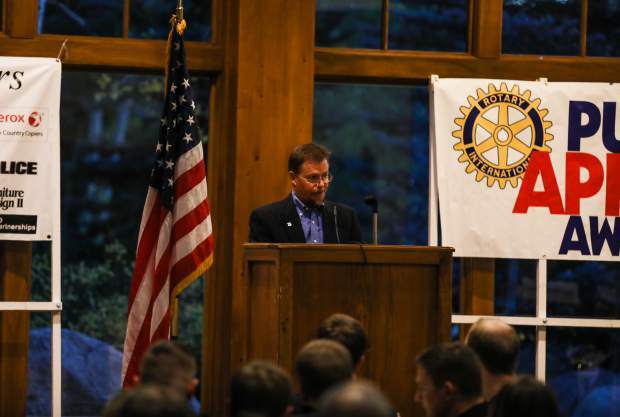 Dr. Scott Beebe, of Holy Cross Lutheran Church and Vail Police Chaplain, gives the Invocation for the Tri-Club Rotary Public Safety Recognition Awards Ceremony and dinner on the 17th anniversary of 9/11, Tuesday, Sept. 11, in Vail. Beebe was also awarded and recognized as a First Responder of the Year for his work with Vail Mountain Rescue Group. 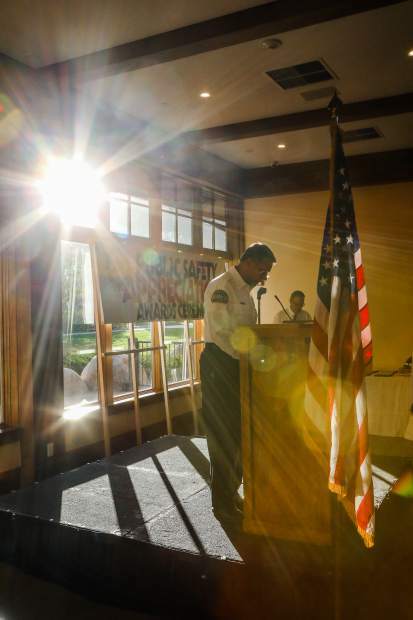 Ross Wilmore, retired wildland fire specialist with the Greater Eagle Fire Protection District, was the honorary speaker at the annual first responders dinner Tuesday, Sept. 11, in Vail. Wilmore worked for the U.S. Forest Service in many fires and was recognized at the awards dinner last year. 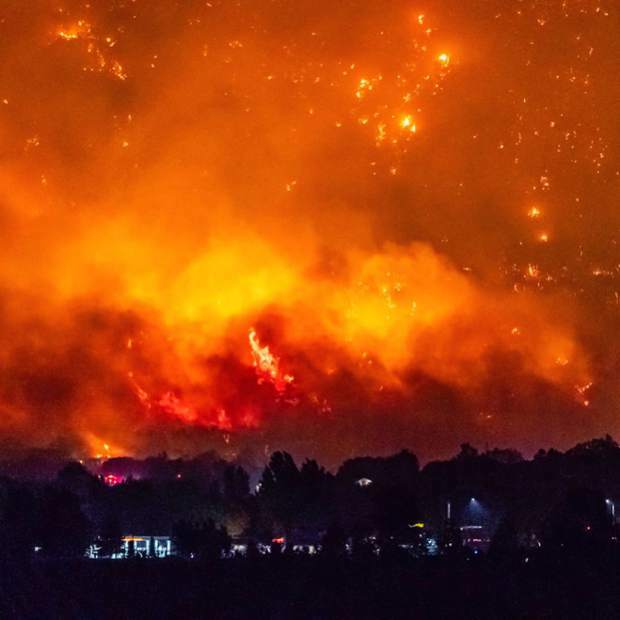 The Call of the Year was the Lake Christine Fire near El Jebel. 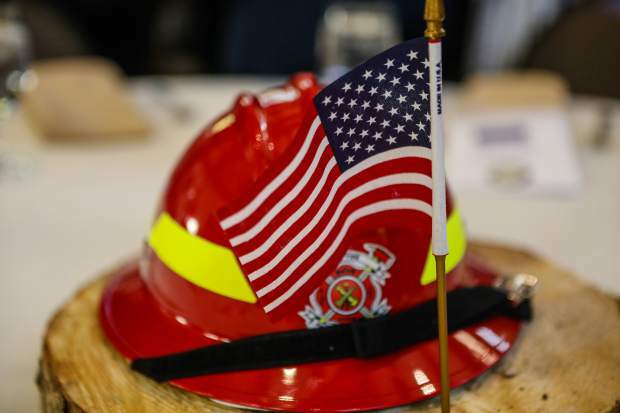 First responders were recognized during the annual dinner on the anniversary of the attacks of 9/11 Tuesday, Sept. 11, in Vail. The Tri-Club Rotary Public Safety Recognition brought hundreds of first responders and their families together for the community to say thank you. The event was Tuesday, Sept. 11, on the 17th anniversary of 9/11. “On a tough day for any of us, the anniversary of 9/11, a celebration of our first responders such as this banquet strikes home for all of us. For the Rotary Club, the community and everyone involved, thank you for the thank you. It’s our privilege to serve you,” Wilmore said. Wilmore retired as a U.S. Forest Service fire manager and has been on hundreds of calls in dozens of states. The constant calls — dealing with people on their worst days under horrible circumstances — can take a toll on first responders’ mental and emotional health. Their families know it before anyone. “They are the first responders’ first responder,” Wilmore said. In 2017, there were more firefighter suicides than line-of-duty deaths, Miller said. Help begins with the community, Wilmore said. “I can tell you that the signs you sometimes see and the cheers you sometimes hear make you stronger when you really need it,” Wilmore said. Most first responders don’t think of themselves as heroes, but they are, Wilmore said, and even seem a little embarrassed by all the attention. “The first responders in this county are my heroes. If I have a bad day, I know I’m in good hands,”Wilmore said. Jennifer Kirkland, Vail Public Safety Communications supervisor, compiled this award information. • Business Partnership Award: Starting Hearts, founder Lynn Blake and executive director Alan Himelfarb. Current data shows sudden cardiac arrest survival rates in Eagle County are 2.5 times higher than the national average. High-speed chase: Eagle County Sheriff’s Office, Eagle Police Department, Colorado State Patrol and Vail Public Safety Communications Center. In the early-morning hours of March 17, 2018, Deputy David Dempsey and Trainee Deputy Richard Sutton were transporting a prisoner to the jail when they saw an eastbound motorist cross the I-70 median into the westbound lanes. Deputies Garrett Brown, Brad Porter and Paul Pedersen, as well as Detective Aaron Veldheer and Eagle Police Officer Scott “Tyler” Stonum, all responded to help. The driver kept crossing back and forth from eastbound lanes to westbound lanes, changing directions several times. Officers were quickly joined by Colorado State Patrol Troopers Charles Hiller, Joel Juenke, Jeff Briggs and Nathan Turner. Vail Public Safety Communications Center Dispatchers Michelle Aranda and Luke Davis told everyone that the vehicle had been reported stolen in Aurora that morning and that the driver was possibly armed. During the pursuit, the back window of the vehicle blew out, close enough that parts hit one of the deputy’s vehicles. 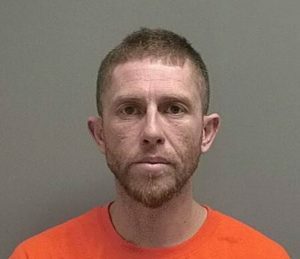 During the chase, speeds ranged from 40 mph to 102 mph, as several civilian motorists managed to dodge the fleeing driver going the wrong way. After the vehicle finally stopped near Eagle, the driver threw out a handgun and told officers to shoot him. They arrested him instead. He had emptied his handgun shooting at them. Vail Pass truck fire: Vail Fire & Emergency Services Lt. Ryan Sutter, Engineer Jared Olson and Firefighter David McWhorter. On Sept. 21, 2017, Vail Fire responded to an Interstate 70 vehicle fire in East Vail. A tractor-trailer had veered off the road and plunged 100 feet into a ravine. The trailer was hanging precariously on the edge of the ravine, the contents had been scattered over approximately one acre, and the cab had been torn from the chassis and landed upside-down and on fire in Gore Creek, stopping between two waterfalls. 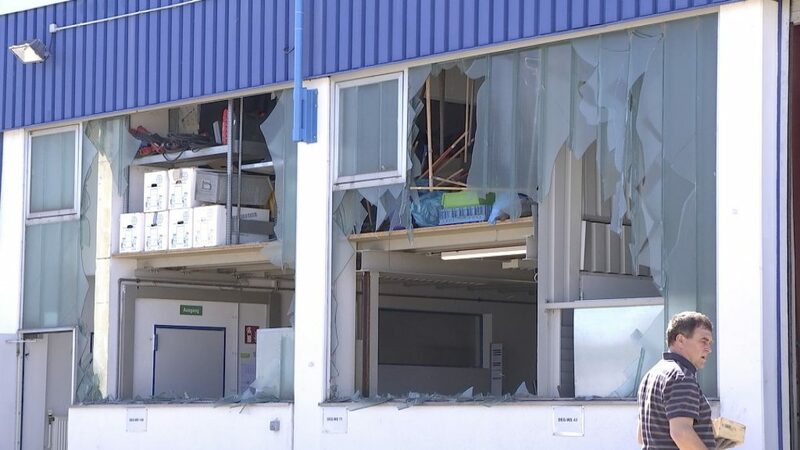 The fuel tanks had ruptured, and some of the fuel was burning. The fuel had contaminated the water and was burning some of the adjacent vegetation. For the next three hours, personnel rappelled into the canyon, suppressed the fire and searched for possible survivors. In fact, Olson entered the diesel- and debris-filled water without a dry suit to try to locate the driver. Choking victim: Eagle Police Officer Dominik Scriver and Detective Bryce Hinton; Greater Eagle Fire Protection District Capt. Eric Mosher, Wildland Coordinator Hugh Fairfield-Smith, Engineer Clayton Forsyth and Firefighter Nathan Thurman; and Eagle County Paramedic Services Supervisor John Gately, Paramedic Joel Simonson and Paramedic Kelly Lombard. On April 8, 2018, several members of the Eagle Police Department, Greater Eagle Fire Protection District and Eagle County Paramedic Services were dispatched to an Eagle residence where a woman was choking and not breathing. Eagle Police Officer Dominik Scriver and Detective Bryce Hinton were first on scene and immediately began CPR. Fire Capt. Eric Mosher, Wildland Coordinator Hugh Fairfield-Smith, Engineer Clayton Forsyth and Firefighter Nathan Thurman arrived and applied oxygen and an AED. A pulse was detected and then lost. When Eagle County Paramedic Services Supervisor John Gately, Paramedic Joel Simonson and Paramedic Kelly Lombardi arrived, they connected their monitor to the AED pads. Because CPR was continued, a heart rhythm was detected, and the team administered a shock via AED. 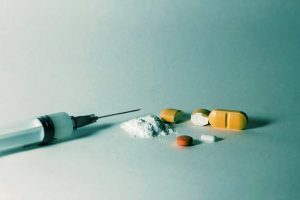 The patient was transported to Vail Health while receiving multiple rounds of defibrillations and cardiac medications. After being flown to Denver and cared for in the ICU, the patient made a full recovery. Officer Jim Applegate, Vail Police Department: Applegate started with the Vail Police Department in November 1999. His extraordinary skills and work ethic, professional and positive attitude make him a sought-after counselor, confidant and mentor. Rev. Dr. Scott Beebe, Vail Mountain Rescue: Beebe joined Vail Mountain Rescue in 2009 with lots of backcountry experience in a number of disciplines, but had little rescue background. He worked his way up from new member to Rescue level, the highest operating position. He joined the newly formed hoist team and has been recognized for a lifesaving mission. Most recently, he has become a mission coordinator. Officer Tyler Churches, Avon Police Department: On Dec. 27, 2017, Churches responded to a suicide attempt, a man with a severe cut to his wrist. Churches found the man standing in a large pool of blood and still bleeding profusely. Churches applied a tourniquet to the man’s arm and used a towel on the bleeding wrist. Churches stayed with the man, who began to fade in and out of consciousness and showed signs of shock. The man was rushed to Vail Health, underwent a successful surgery and survived the incident. Chief Justin Kirkland, Gypsum Fire Protection District: Kirkland has been part of Eagle County Public Safety since he was 18, beginning as a Minturn volunteer firefighter in 1994. 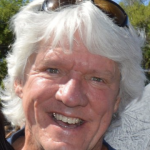 He has served as chair of the Eagle County Tech Ops Committee since its inception in 2003. He helped guide the public safety agencies’ change from VHF to the 800 radio system. When a patch was needed between radio systems during that change, Kirkland built one. Kirkland served as co-chair for the Public Safety Communications Committee for the 2015 Alpine World Ski Championships and assisted in bringing a FirstNet demo network to that event. In addition to all that, he frequently drops what he is doing to run calls. Under his leadership, Gypsum Fire remodeled their fire station, and he helped facilitate a successful ballot question for the district. 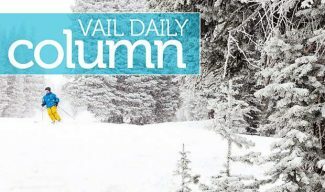 Brice May, Vail Ski Patrol: May moved to Vail in 1983 and worked at Vail Ski School before joining Vail Ski Patrol in 1985, rising through the ranks to director. 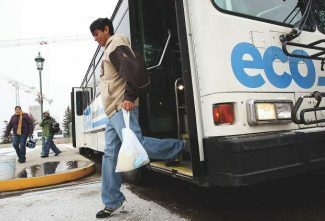 He has been involved with community education and safety programs in local schools, as well as with the merchant pass program. He also developed and delivered safety messaging on both TV8 and local radio. Last fall, May began what he named “Guerilla CPR.” He pushes his way into various company meetings to do a 15-minute CPR training. By January 2018, more than 800 received the training. It paid off. An Alpine Club member was working out one morning in late November when she collapsed in cardiac arrest. An Alpine Club employee who had received May’s Guerilla CPR training began CPR until EMS arrived, saving his life. 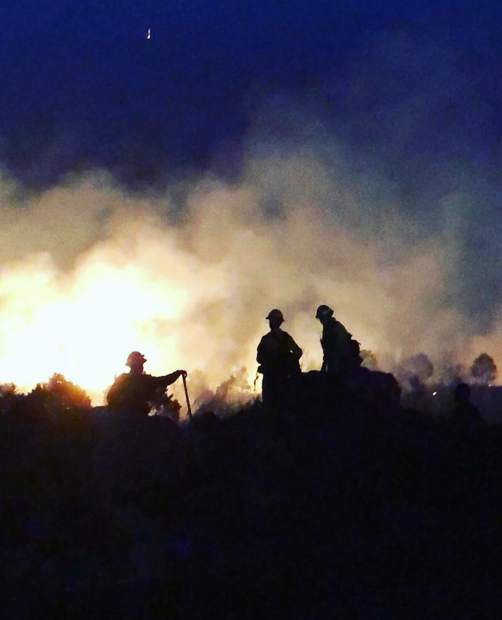 Lake Christine Fire: When it threatened one community on July 4, 2018, the rest of the county rushed to help, requiring nearly every agency in Eagle County to save the town of El Jebel: Basalt & Rural Fire Protection District, Basalt Police Department, Colorado Parks and Wildlife, Colorado State Patrol, Eagle County Sheriff’s Office, Eagle Police Department, Eagle River Fire Protection District, Gypsum Fire Protection District, Greater Eagle Fire Protection District, Vail Fire & Emergency Services and Vail Public Safety Communications Center. 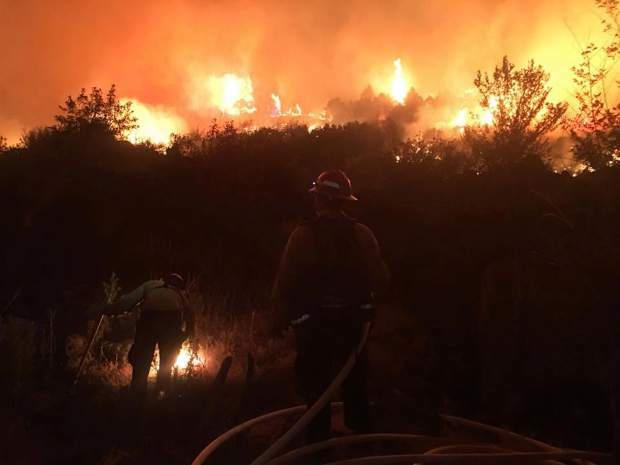 The Lake Christine Fire has burned 12,588 acres and is 90 percent contained. There are still firefighters and other support personnel assigned to the fire, and the fire continues to burn.